This annual event has been raising money for the Man O’ War primary school for 30 years. 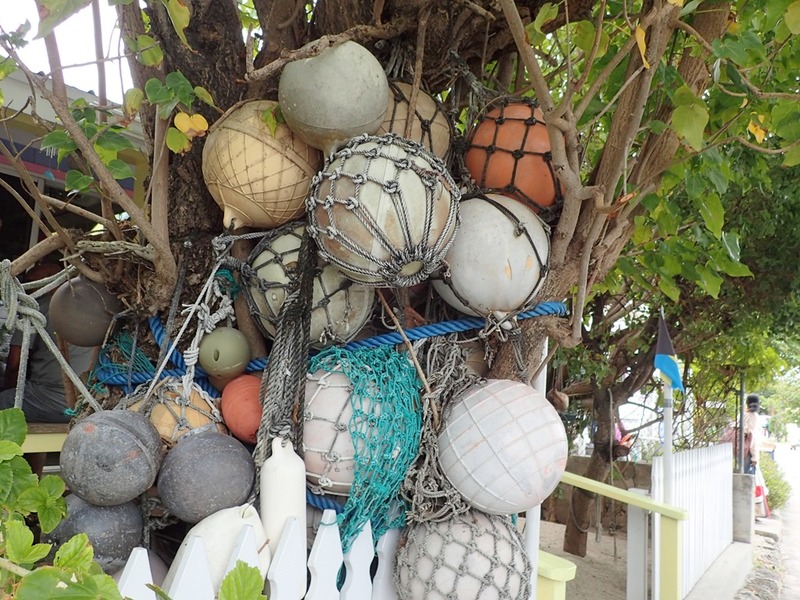 You never know what you will find – books, jewelry, clothes, boat parts, kitchen utensils, shells, toys. 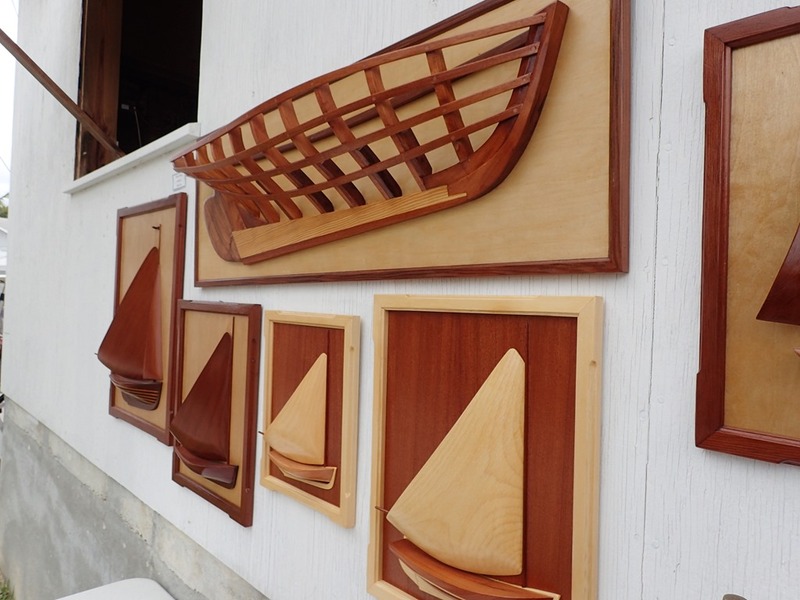 One of our favorite places to visit on MOW is the woodworking shop of Andy Albury. 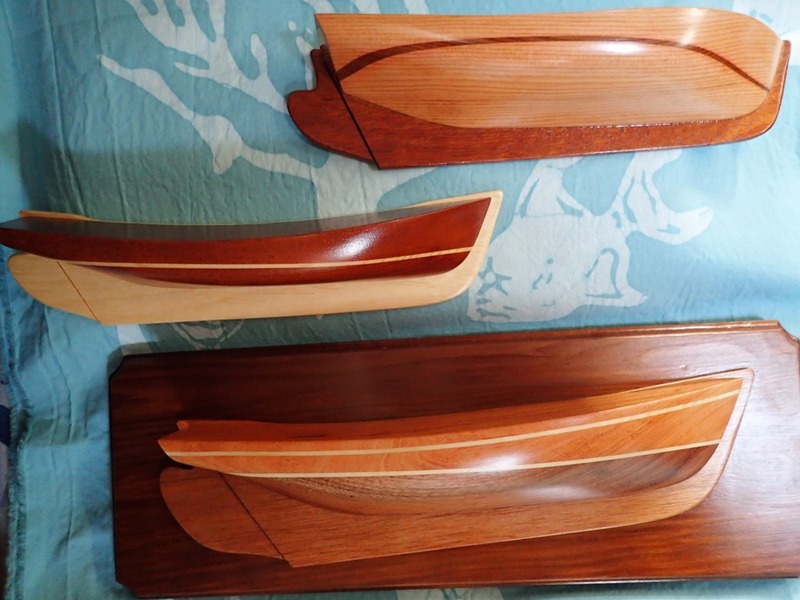 We have a collection of his half models of Abaco dinghies at home; here are our new additions. Then it was off to Sally’s fabric store for Androsian fabric – brightly colored batiks created on the Bahamian island of Andros, to the south and west of Abaco. This one is little-boy blue, and the pattern is fish with coral reefs. (Underneath the models, above.) So beautiful. Goldwin found this straw hat for 50 cents. 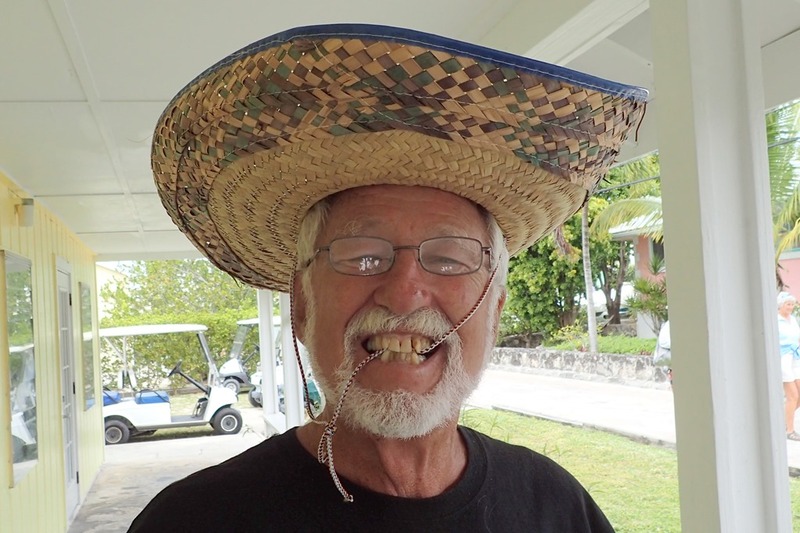 He bought one at the MOW flea market last year, but it flew off on the ferry ride back to Hopetown. Oops! Maybe this was the exact same hat that someone salvaged? Luckily, Goldwin gifted it to one of his junior sailing kids – who had a blast with it, singing and skipping down the sidewalk to show it off to his friends. 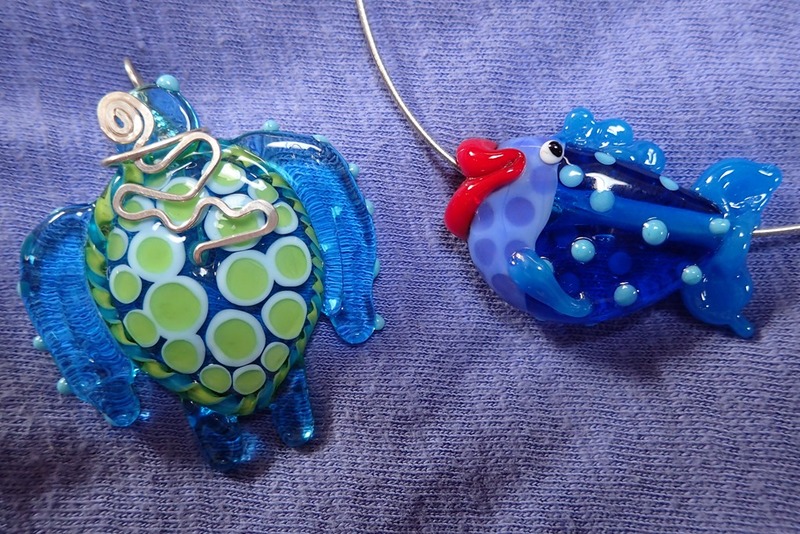 These glass pendants were made by a woman from Holland, Michigan, and her daughter. Whimsical! 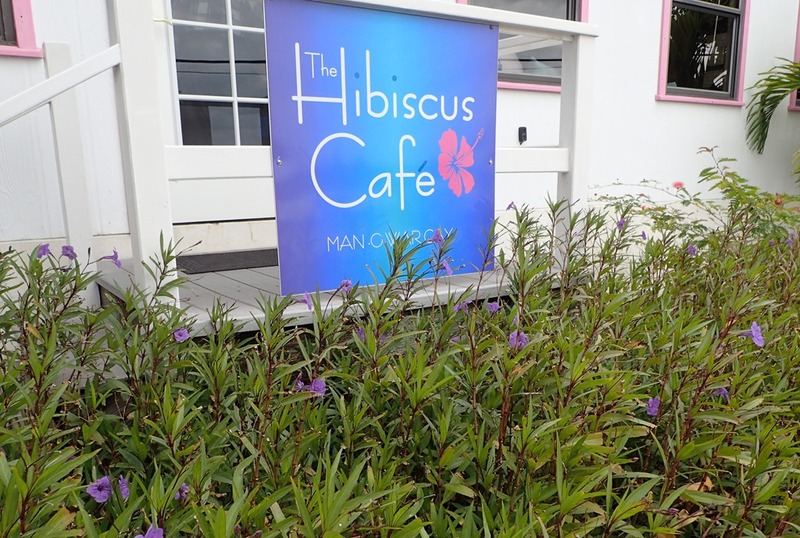 This year, instead of lunch under the tents, we went to the Hibiscus Café for a great hamburger and quesadillas. Yummy. MOW is just to the north and west of Elbow Cay. 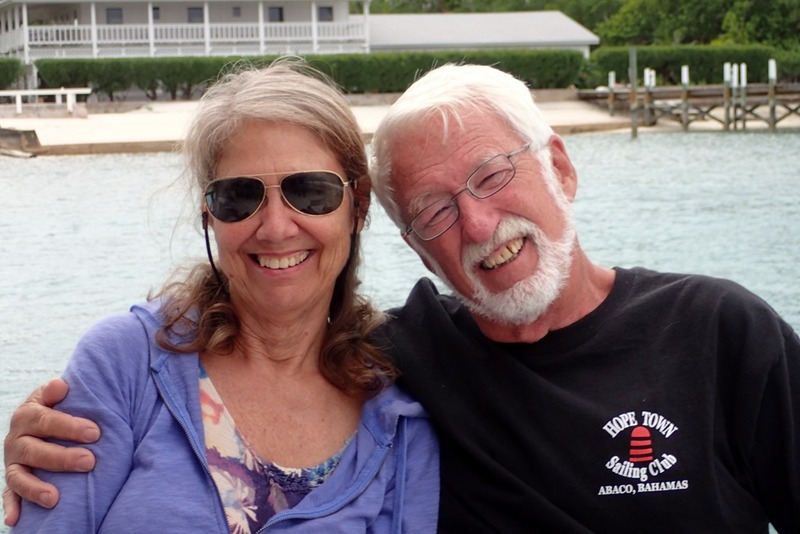 It’s a picturesque community and the home of Abaco boat building. Its meandering harbor is well-protected and it has a unique variety of shops and cottages, as well as lots of boats on moorings and in the marina. Sadly, the grocery store on the harbor has closed, although the one up a block is open and well-stocked. MOW has always been a dry island, so allowing the marina restaurant to sell alcohol is a recent and controversial change. 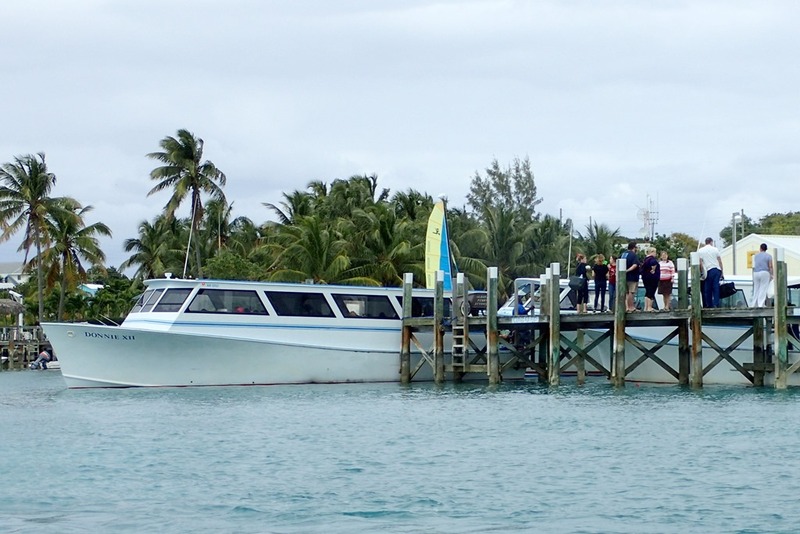 Soon it was time to return to the ferry for our ride back to Hopetown. A fun day, shared with friends from Hopetown and MOW.